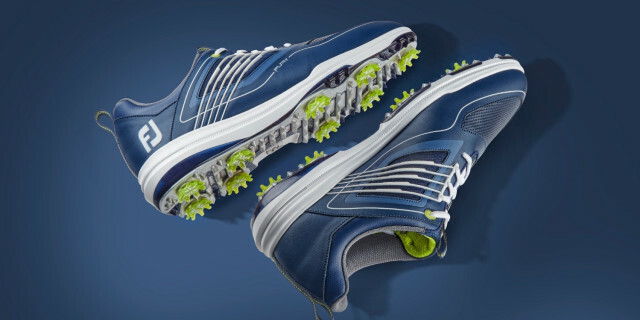 FootJoy has revealed the brand-new FJ FURY, which brings together an athletic styling with a depth of feature technologies to deliver a shoe that has been created to deliver comfort and performance. “I put these into play immediately because they look and feel so athletic,” said Rafa Cabrera Bello. “I’m amazed that a shoe that is so comfortable can also offer so much stability. - Inner Fit Sleeve provides snug and secure fit. - FlexGrid MLC cage provides medial and lateral control. - Orthodic Impressions FitBed with foot-molding foam. • Dual Density TPU Outsole. • Dynamic Low Profile Pulsar Cleats. • FTF+ Midsole providing maximum comfort and stability. Styles: White/red laced, Navy/white laced, Black/red laced. Release Date: February 15 th , 2019.